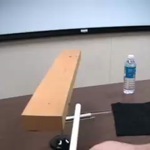 This video is set to higher quality and has some extra demonstrations of the interaction of two spinning systems. 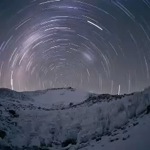 This angular momentum movie was my first movie, podcast for the first time in spring, 2007. Aggie Payton and Jarvis Peters were kind enough to be the stunt men here. 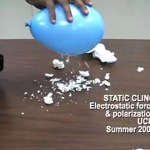 The first chapter of this video is normal static cling. The balloon clings to the marker board after being rubbed on the assistant's shirt.